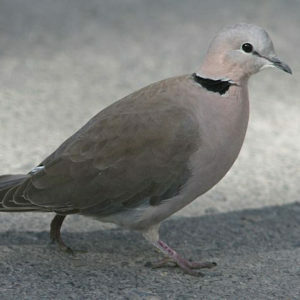 Smaller and paler than Red-eyed Dove with white-tipped tail. Well-known dove call ‘puk crrr puk’. Pairs for life. Territorial.